You could save some money and do your wedding makeup yourself, or you could work with one of the most affordable El Paso makeup artists, Jinny Riddle. This company has experience offering wedding, prom, birthday, Quinceanera and even Halloween makeup. The owner of this company has more than 25 years of experience offering special occasion makeup. You cannot trust anyone more than this expert when you would like to have your wedding makeup executed perfectly. 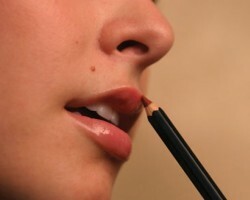 Knowing this will eliminate stress and make sure you look stunning for your special day. Barragan’s Salon & Spa offers everything from facials to cosmetic solutions, permanent makeup and hair styling. They have everything that you need to be pampered for the biggest day of your life. This salon doesn’t create packages, they prefer to let you pick and choose which aspects of the service you truly need to make you look and feel beautiful on your wedding day. You can request to have a natural look or something more glamorous based on your personal style and the theme of your wedding. Millie Luster is a nationally known makeup artist that has worked with major television corporations and leading makeup brands on various projects. The experience of this artist is what makes her so highly sought after for bridal makeup in Texas and throughout the county. While the prices are high end, so are the results and so is the service. If you want the best then you need to work with this professional. Reviews of this makeup expert make it clear that she knows how to make people look and feel beautiful. Wedding hair and makeup should be left up to the professionals at Foliage. Not only will they be able to eliminate stress on the biggest day of your life but they will also be able to help you achieve the look that you have always wanted. This company offers various bridal packages that include a trail for the look as well coming to the designated location to complete the same look on the actual day of the wedding ceremony and reception. When you decide to hire a makeup artist in El Paso from Salon by Sandra, you will be working with one of the most capable artists in the area. This salon only hires the best so that their customers only get the best results. The makeup team and hair experts work together to come up with a complete bridal look that you love and that suits your personality too. You will even get a consultation before the big day to make sure the look you have chosen is one you are happy with.